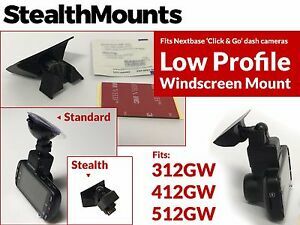 stealthmounts has no other items for sale. The maximum liability for items sold (such as mounts) is the cost of the mount. A refund will be provided in the event that a mount is found to suffer from a manufacturing defect reported within a period of 30 days. No liability is accepted for damage to equipment or other property as a result of using or misusing our mounts. Ensure mounts are properly fitted and verify they are firm, strong and correctly used prior to each use. Do not fit or use mounts with excessive force. Mounts are usually plastic parts which will wear and degrade over time and may not withstand hard impact or excessively heavy use. Any disputes must be brought within England. Fast delivery. Product looks good. Recommended.